One of the biggest bets a company can make is to launch a new product. It takes incredible planning, timing, work, investment, and even faith when the payoff is uncertain. Some of the smartest global marketers have failed at launching new products. This is why the upfront market research you conduct on new product concepts is like an insurance policy on future events. Concept testing helps to reduce the risk of launches by spotting problems early. Concept testing is how people, without prompting, interpret a idea for a new product or service. (Smith and Albaum, Fundamentals of Marketing Research, Sage Publications, 2006) Concept testing is most often used in concept development to test the success of a new product idea before it is marketed. 1 – What is the aim of my concept research? Concept testing and development provides the direction and guidance necessary to selectively identify and communicate key product or service benefits, uses, packaging, advertising, sales approaches, product information, distribution, and pricing. 2 – What’s the right way to test my product concept? Involve potential consumers and have them provide their reactions to written statements, images or graphics, or actual implementations of the basic idea for the product. Concept testing is most often a go/no go screening that serves to eliminate those concepts that have very little potential. 3 – What are the types of concept testing? A variety of concept testing options are available to help you minimize risk and maximize revenue when entering service, consumer product, and high-technology markets. Our years of directing concept tests have produced a unique perspective on the particular needs of product and service users and decision-makers. Determine which benefits are most important to customers and which features are most likely to lead to the fulfillment of that promise. Features can be categorized into those that are “need to haves” vs. “nice to haves.” Customer needs must be identified and prioritized for product development and advertising. Modifications and upgrades can reformulate and add new life to existing products and services. Again, prioritize identifying the optimal bundle of features. Differentiating those features that are “need to haves” vs. “nice to haves” is critical in creating products or services that are truly “new and improved,” “new release,” and “upgrade” worthy. Many products and services offer upgrade or migration paths. For the customer, it is a reflection of a need for the next level of sophistication. Understanding the key features and benefits is critical in mapping consumer needs to the likelihood of upgrading an existing product or adopting a new technology. Our experts will help you answer such critical questions as “Do benefits outweigh the costs and challenges of changing?” Features, benefits, brands, image, costs, and training are but a few factors that must be considered. The most effective concept tests assess the use experience of a specific product or service and determine how that experience can be improved. This research can focus on a variety of areas — some of these include ease of use and similarity to current usage patterns, the ability to adapt and use critical feature implementations, and the congruency with current image, usage patterns, and service provisions. No one underestimates the importance of price expectations in new product adoptions. Price, incentives, bundling, cross product tie-ins, and cost-mitigating factors such as warranties all change price perceptions and perceptions of value. 4 – How do online product concepts help? 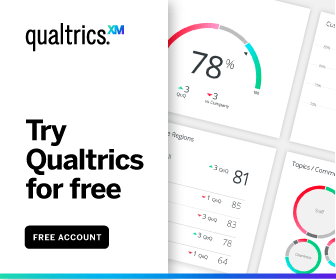 The Qualtrics Concept Test Product increases effectiveness by tracking concepts through a key series of psychological and behavioral evaluations. Each of these testing stages focuses on critical needs of the customer and produces actionable information that can drive your corporate product formulation and promotional initiatives. Identify the core customer needs that lead to acceptance of new product concepts and the new product concepts and ideas that are formulated. the adoption of new product concepts and the new product concepts and ideas that are formulated. Evaluate the product category as a focus for fulfilling market needs. Inherent in this concept test and fulfillment analysis is tying benefit fulfillment and needs to the positive elements (benefits) and negative elements (inhibitors) that direct the purchase evaluation process. This focuses on the decision and purchasing process. Key influencers and decision makers are all considered as part of the concept test. Each purchaser, decision maker, and influencer involved in the purchase process relies on different information sources to establish the credibility of the product, integration process, benefits, and values actually received. Understand the specific costs and financial benefits the new product brings to customers. We model and quantify them so they can be used in advertising and sales collateral. 5 – Do I need to conduct a product concept test? The following applications show the value of concept tests to companies. How are concept tests made actionable to help you manage your products and priorities? Roadmap of Development Priorities: Development plans are canceled for three new features because of low priority to customers and high associated development costs. Scheduling and Launch Priorities: Based on the concept test, your product is given new priority for launch because of demonstrated greater market potential. The concept test identifies not only market potential, but avoids a potential failure that could have been launched. Market Potential: New product uses are discovered through a new product concept test that could double the market potential. Product Superiority: New features are added to the existing product to meet the demands of customers before the competition responds. The proposed features of greatest value to the customer receive top priority for development and implementation. Your product or service maintains the competitive advantage by further distancing itself from the competition. Concept tests provide the customer feedback you need to prioritize and implement ahead of the competition. Eliminate Product Deficiency: The currently marketed product is evaluated and product performance tests reveal flaws in the current design and implementation. This information is integrated and verified in new concept tests. Promotion Planning: Concept tests combined with market analysis help you to understand who is buying, where they can be reached, and most importantly, what message motivates them to respond to your product. Increase Profitability: Concept testing shows that we are delivering the best value in the market and have room for a 10% increase in price for the new product.